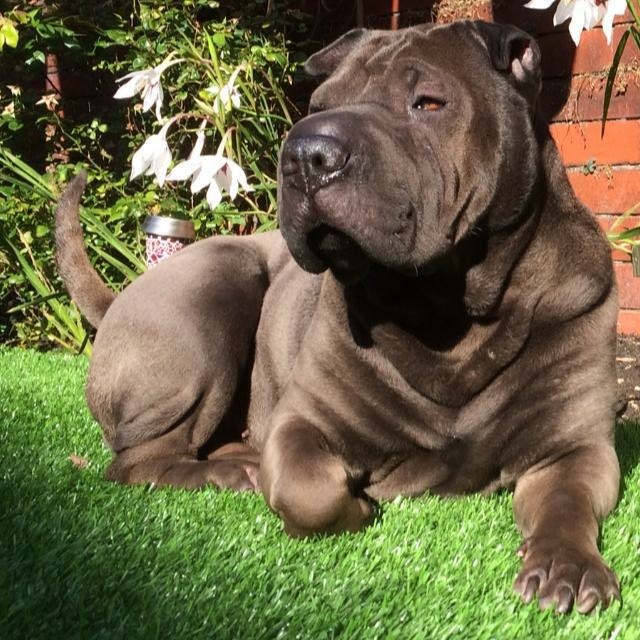 Having lost my first ever Shar Pei in October 2013, I knew I just had to have another Shar Pei. I contacted Paul Saxton, just to see what criteria had to be met. A week later, I decided I was ready to start the adoption process. Everything went smoothly. Paul said that a little three year old in London called Kuna who would be the perfect match for me. 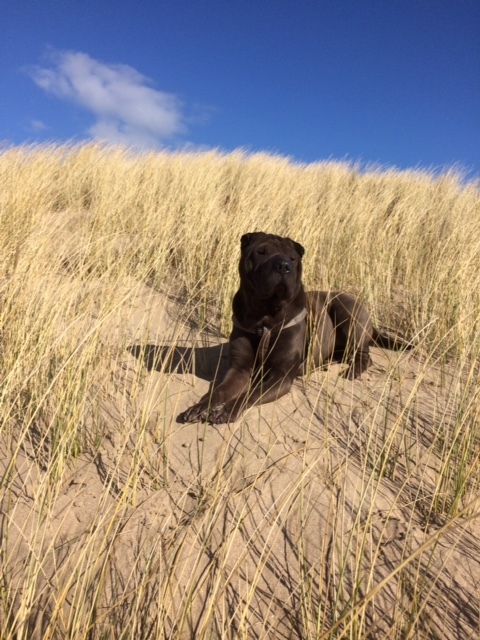 When I first met her, I thought she was tiny (20kg), having been used to my previous larger Pei but she was so playful and loving, that I soon fell for her. Within 24 hours, Kuna was running around with my friend’s three dogs on the beach for the first time in her life. Kuna is a gentle, loving, friendly cheeky little soul and we would not be without her. She’s brought so much joy and smiles to so many people and I’m proud to say that I got her from the Shar Pei Rescue of Great Britain.